These little guys are great. Such a boon for old arthritic fingers and for any other folk who don’t have the super strength or dexterity to operate the taps which water drums normally come with. Usually under $10. Designed and manufactured in Australia! Available BCF (and elsewhere). Standard 3/4″ BSP thread fits hose fittings, etc. 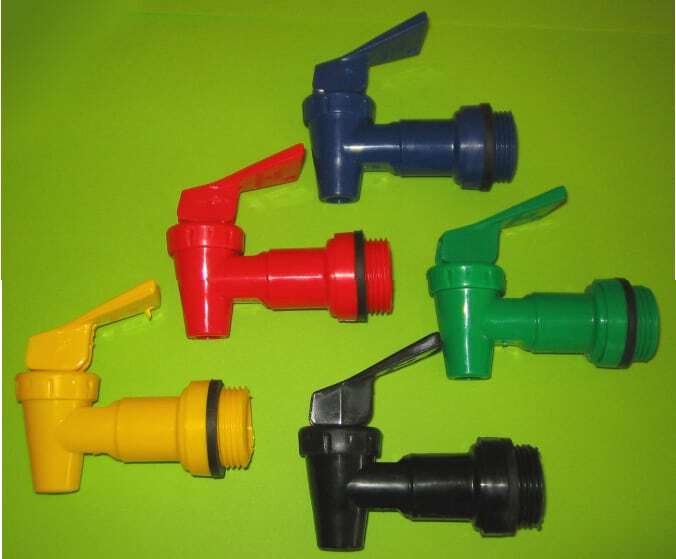 Can be used to control a siphon if mounted 90 degrees in the bottom of a well with a float valve attached which turns the water on when there is sufficient water, off when there is not enough. This would be good if you wanted to ‘develop ‘ a spring on your hillside (eg by trenching below it with plastic agricultural drainage pipe into a sump containing the snap tap, then via siphon to a lower storage tank, thence maybe creating enough pressure to run a garden sprinkler? Many other uses I’m sure.